you should have tried to check your comment box you will see a nice comment related to your article, but you will also see a person which commenting awful things doesn't relate to your blog article and some spammers does this they encourage you with appreciating comment and then they will share a link on their blog, they are very annoying and very devastating. why spammers do this? they thought this was the easy way to generating backlinks to their site, but they are totally wrong. 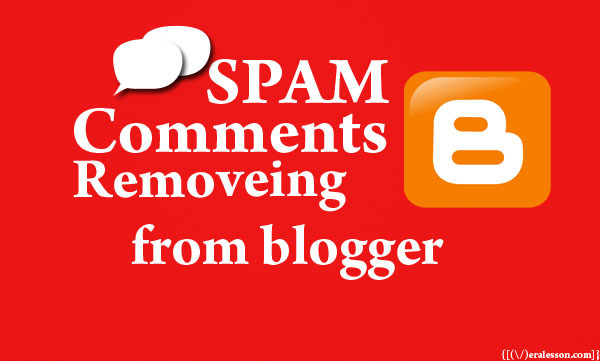 First of all blogger.com/ automatically add rel="nofollow" to every comment link tag, what does rel="nofollow" its inform googlebot not to follow this. in my point of view every single blogger is struggling to achieve their goal and one thing you have to understand which is there are no shortcuts, check what lies brown says “if you do what is easy your life will be hard, if you do what is hard your life will be easy". Therefore in order to achieve your goal in cause generating backlinks you should try social media, but you will say "I already done this", just try what I am telling you just concentrate to only one social networking site like Facebook or twitter etc at a time, when you cover one site then move on to second one. I strongly recommend you to read this article it will help you alot "Become a pro at blogging great tips for blogger ". 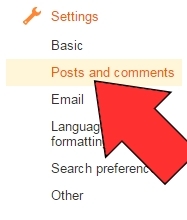 log in to your blogger account and then go to settings >> Post and Comments>>Comment Moderation>>Always like below. Then you will get comment moderation emails on your Gmail ID whenever someone comment on your blog. like this.